There’s another reason 3D printing may one day become a mainstream product: It can help you save the planet. A funded Kickstarter project for the Filabot, spotted by the Singularity Hub, delivers on that promise by recycling plastics from your home into the material needed for 3D-printed objects. Not only does it offer reuse value for plastics — the “ink” used by 3D printers — but it can save money as well. If you’re not familiar with 3D printing, here’s a quick primer to help you understand what it is and why the Filabot sounds appealing. Unlike traditional printers that lay out ink on paper in a 2D plane, 3D printers create physical objects. They do this by heating up and extruding small layers of plastic atop one another. 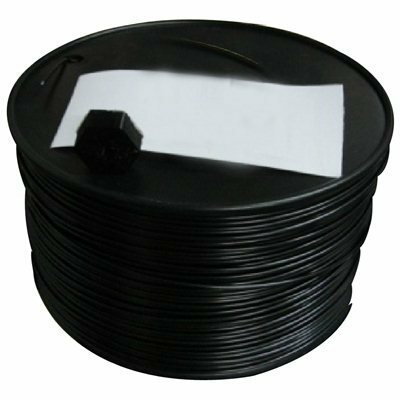 The plastic used for 3D printing comes in spools and isn’t what I’d call inexpensive; especially if 3D printing takes off and consumers use more plastic to make things. Shop around and you’ll see it’s about $40 for a kilogram spool. I’d expect the Filabot’s price around $500 based on the Kickstarter pledge levels, but there are no details yet on exactly how much you’ll be able to purchase one for. And since 3D printers use filament for each successive printing layer in an object, that material is likely to be used up quickly. So a machine that can create its own 3D printing filament could be a money saver in the long run. Even better is the fact that you can essentially reuse plastics at home for printing. In fact, if a 3D printed model doesn’t come out quite the way you’d like you can actually recycle with a Filabot and print an improved object.